Sorry but the usual questions..
What are the main things to look out for ? I have heard these vans can and will blow turbos if oil changes and flushes are not done very well ? I was also told that this engine is shared by Ford and used in the Focus and Fiesta models ? What MPG should I expect in real world driving ? I'm looking for reasonable performance not fast but dont want to be slogging up and down the gears .. I need to get my act together here as I have promised the seller an answer and I believe the wee van will sell quickly as its a cracker and is not subject to VAT.. If it has fsh from Citroen workshop then you would hope correct oil will have been used & also correct drain procedure. Varients of the engine are common to several makes & I'm guessing there are probably more of these engines on the road in Europe than any other small diesel. If its got service history and you do oil changes with the correct oil you should have a good van. There is no need to thrash the van through the gears just drive it on the torque curve and they are a good van. I get 55 to 60 mpg out of mine but I don't carry that much weight most of the time. Well I didn't get that van as it sold before I could travel to buy it.. 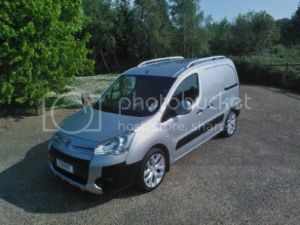 But the information is valuable and appreciated as it will be handy if I go for another Berlingo..